Ungsitipoonporn, S., Laparporn, K. (2019). Comparison of Approaches for Language Revitalization of Northern Khmer in Thailand. International Journal of Society, Culture & Language, 7(1), 52-66. Siripen Ungsitipoonporn; Kumaree Laparporn. "Comparison of Approaches for Language Revitalization of Northern Khmer in Thailand". 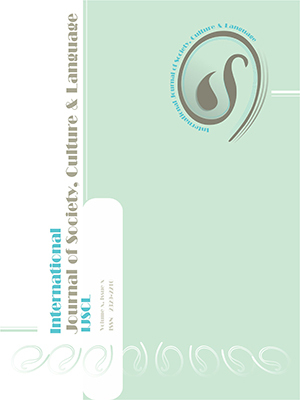 International Journal of Society, Culture & Language, 7, 1, 2019, 52-66. Ungsitipoonporn, S., Laparporn, K. (2019). 'Comparison of Approaches for Language Revitalization of Northern Khmer in Thailand', International Journal of Society, Culture & Language, 7(1), pp. 52-66. Ungsitipoonporn, S., Laparporn, K. Comparison of Approaches for Language Revitalization of Northern Khmer in Thailand. International Journal of Society, Culture & Language, 2019; 7(1): 52-66. Although 1.4 million people speak Northern Khmer in Thailand, they are aware that their language is still in decline. To deal with this threat, native speakers have cooperated with linguists from Mahidol University to work on a community-based research project since 2007. Teaching the Northern Khmer language as a subject in the formal school system was the first project which started at Ban Pho-kong school, Surin Province. Later, however, they realized that their children had enough potential in their mother tongue to teach a bilingual program from kindergarten 1, and there were teachers available who could speak Northern Khmer fluently. However, when they started the bilingual education program at the kindergarten level, the children could not use Northern Khmer language to communicate with the teachers. Linguists from Mahidol tried another approach to increase the use of the mother tongue by applying a language nest pattern at the pre-kindergarten level to prepare a strong foundation for the student’s mother tongue, before they go on to kindergarten and then primary school.